Created by John Kutcher and published by Muse Software in 1984, Space Taxi is an action game where you must pilot your taxi through 24 increasingly difficult levels of gameplay. 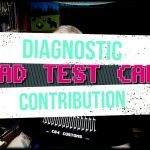 The graphics are basic Petscii graphics however each level represents a setting such as a beach chair and umbrella, candy canes, a ping pong table or falling stars. A potential fare appears and a digital voice shouts “Hey Taxi!” and off you go. After delivering several pedestrians to their destinations safely, the level unlocks and you can fly out of the top of the screen to the next level. The gameplay is fantastic and replayablity is 100%. Bruce Lee is a game developed by Ron J. Fortier and published by Datasoft in 1984. In this game you’re Bruce Lee and you must navigate room to room in a wizard’s castle searching for the secret of immortality. Along the way you have to navigate 20 rooms and get the lanterns in each room in order for it to open the next available room. Each room is loaded with ladders, traps, secret doors and so forth. To make the game more challenging your also being pursued by two of the wizards henchmen. The first is Yamo, he’s a large green sumo type warrior. The second is a ninja who attacks with his booken stick. Each of the enemy warriors can be killed, however after a short pause they regenerate and start their pursuit once again. The game has wonderful graphics and easy controls. 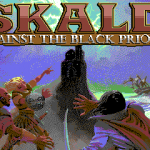 A must play for C64 gamers. Lords of Conquest was created by Bill Eberle, Jack Kittredge, Peter Olotka and Trevor Western of EON software and published by EA. The game is essentially RISK and it’s marketing actually said “Better than RISK” for a time to let the players know it was a global conquest game. There are both single and multiplayer versions of the game and up to 7 players in total could participate. Each player had his own color which matched his territories on the map. The map itself was auto generated before each game. I won’t go into all the specifics of the game however it plays very similar to RISK and it was quite fun to play on your own with 6 computer players coming for you. While the graphics are kind of basic the gameplay is phenomenal and it has infinite replyability. One of Sid Meier’s best games is Pirates! and it launched waaaay back on the C64 in 1987 by his first company Microprose. Pirates! is a simulation of being a pirate in the Caribbean during the 16th, 17th and 18th centuries. Your mission, should you choose to accept it, is to become a pirate and get a letter of marque from either the British, French, Dutch or Spanish crown. From there you can attack anyone who is an enemy of the issuer and also use the issuer’s ports as a safe haven to repair your ship and reload cargo for use, sale or trade. You can also have multiple letters and change loyalties at any time. The game takes place throughout the entire Spanish Mane which runs from Florida to Mexico, to South America and everything in between. Ultimately your goal is to collect as much treasure as you can, save some family members along the way, marry a governess and retire with as much treasure and social status as possible. Not an easy achievement at all but well worth trying. Red Storm Rising is a modern submarine simulator, at the time, based off Tom Clancy’s novel of the same name. The game was published by Microprose and Sid Meier had a heavy hand in the games design and coding. The game puts you in charge of any of 4 types of US Submarines in 4 different time lines and then puts you into the Norwegien Sea Theater against the Soviet forces. Missions are varied and you may be chasing Alpha’s in one mission and trying to shoot Tomahawk missiles at a factory the next. The missions become harder and harder until you either win the game or are defeated. 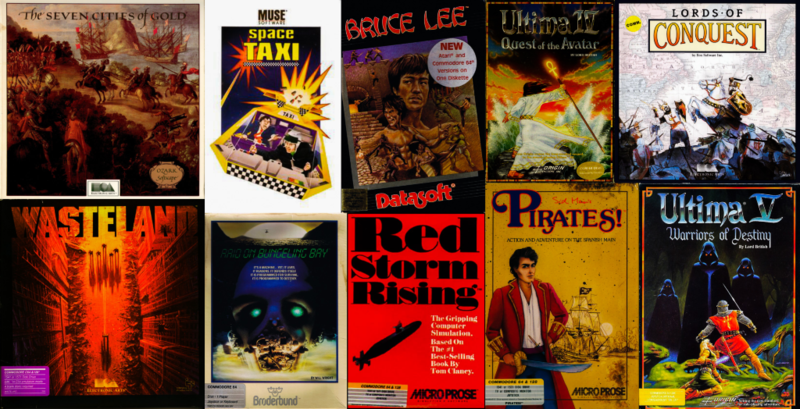 We have a full review of Red Storm Rising for the C64 here as well. What can I say. Ultima V took everything Origin Systems learned during the making Ultima IV and turned it on his ear. The world is larger and more detailed, the engine is visually improved, it sounds better as well. If you have a 128 then you can take advantage of the enhanced score. In the story Lord British has gone missing after an expedition to the underworld and his replacement Lord Blackthorn takes over in his absence. During this time the Shadowlords appear and Blackthorn is corrupted and becomes a tyrant who perverses the virtues into draconian laws that oppress Britannia. 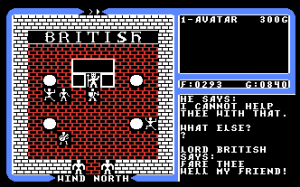 The game is amazing and was also the last game to use the classic Ultima style graphics seen throughout the first five games. This is a must have for any C64 RPG fan. Raid on Bungeling Bay is a top down style action game where you fly your aircraft carrier based helicopter over the islands of the Bungeling Empire in an effort to destroy all of their factories and battleship that’s under construction. The game was the very first game designed by Will Wright of SimCity and The Sims fame and published by Broderbund Software. The premise sounds simple enough however the further you go into the game the faster and more furious the action becomes. This is another game with infinite replayability and the game has also been ported to the Nintendo NES and Famicom systems. I knew I was onto something great when I saw the message “Building Tectonic Plates” during the world building phase of Seven Cities of Gold. Fifteen minutes later I was sailing for adventure in the new world. Not just any new world, but a new world generated by the game. Seven Cities of Gold was created by Dan Bunten and his company Ozark Softscape in 1984. The game was published by EA. 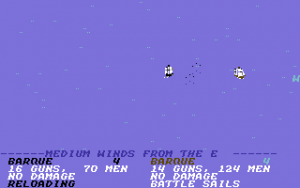 In this game you’re given 4 ships from the Spanish Crown loaded with 100 men and supplies. The game map is a square in the center of the screen and this is due to limitations with the C64. Once you arrive in the new world you can build forts and interact with the natives. However when you encounter native villages the game will zoom in and you can then navigate the villages. From there, find the elder in the center of the village in order to trade. If you touch a native it will kill him, so be careful, touch to many an you can start a war with the natives that can lead to you conquering them or being conquered yourself. There’s no scoring to this game, you just play to win. It’s fantastic and should be in every C64 gamers collection. Wasteland is Fallout and Fallout is Wasteland. Get it? Good. Wasteland is a post nuclear war RPG created by Interplay Entertainment and published by Electronic Arts in 1988. It is also the spiritual prequel to Interplays Fallout game once they broke away from EA. In Wasteland you’re a Desert Ranger, descendants from the famous Texas Rangers and a lawman in a cold lawless post nuclear land. You initially investigate some problems close to the ranger station and ultimately embark upon a quest to stop a sentient AI that existed before the war. While the graphics are not it’s strong suit the game makes up for that in story, character creation and gameplay. This is an amazing RPG. In 2012 original Interplay President and CEO Brian Fargo was able to finally recover the rights of Wasteland from EA and eventually produced Wasteland 2 in 2014. Wasteland 3 is currently in development with a release date of 2019. Richard Garriott’s magnum opus. 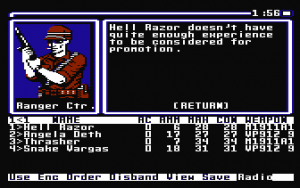 No RPG on the Commodore 64, or any other platform, has done so much for RPG’s as Ultima IV has. 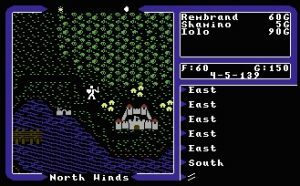 Weary of the endless hacking and slashing that RPG’s had become Richard Garriott decided at the conclusion of Ultima III: Exodus that the ‘Age of Darkness’ was over. For the new trilogy starting with Ultima IV Richard took the game in a bold new direction and started ‘The Age of Enlightenment’. The game begins with your character being called back to Britannia and Lord British designating you to become a spiritual leader the entire realm can look up to. As you embark upon the path of enlightenment you will discover the 8 runes of the virtues and the 3 priciples of Truth, Love & Courage. After many physical and spiritual challenges you descend into the Stygian Abyss and find the Codex of Ultimate Wisdom and become the Avatar. Ultima IV is 16 times larger than Ultima III and comes on two double sided floppy disks. The game also includes a cloth map and an Ankh. If you have more than one disk drive you can use that to your advantage so you don’t have to flip disks as often. This game changed the RPG genre entirely and its influence is still felt in modern games today. 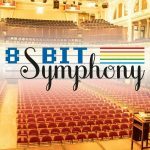 What are you favoite Commodore 64 games? Leave your lists in the comments below! Racing & Destruction Set was always a favorite of mine! That’s a good one. Especially the moon track with the giant hill that lets you jump out of the top of the screen.